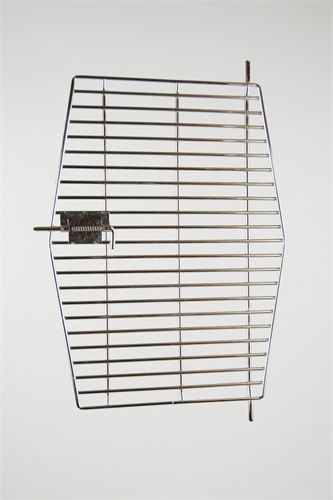 Stainless Steel Door for Large Wingabago® Bird Carrier (Carrier NOT included) We highly recommend the stainless steel door for added ventilation in warm, summer months. The stainless steel door is required for airline travel. In addition to added ventilation, it is great for birds that like to hang, birds that prefer water bottles, and for bird companions that like to offer a comforting finger.. I got the stainless steel door for my Wingabago, and I'm glad I did. It bot only provides more air flow, but it allows me to scratch my bird's head through the bars to help keep her calm on the ride to the vet's office. Love this item. Much better for my bird than original door that comes with The Wingabago. Bought other stuff over the past couple of weeks and the service was amazing, prices were right, and merchandise was perfect! What more could I ask? I'll be back! 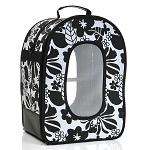 I thought about just going with the stock door that came with the Wingabago but I was a little concerned about the airflow and whether it would get too hot in the carrier. I've very pleased with the SS door. Perfect fit and allows my 'too to hang on to the door when she chooses too. Worth the money in the end.